If you know anything about me, you know that I am a giant fan of Kickstarting fresh new games. 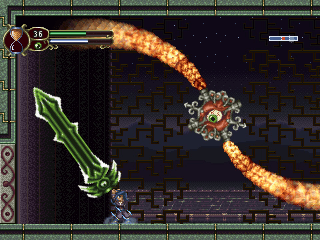 As such, it will probably not surprise you too much to find out that I gladly backed Timespinner. 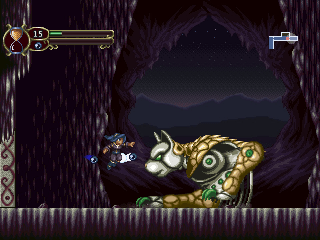 Thus, when I heard Timespinner would be playable at the Minibooth section of Prime, I jumped at a chance to demo it. Was it all I hoped for, or did I back a bummer? 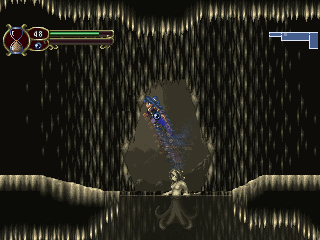 Rest assured, if you like metroidvanias, especially the portable ones, you will instantly be at home in Timespinner. It controls just like you would imagine, with precision and tightness. As I progressed through the demo, I came upon a lost relic which gifted me with the ability to temporarily freeze time, turning all enemies around me into statues. This in turn opened up exploration options, as I could turn an enemy into a helpful platform, or even use it to escape a room full of nasty foes. In the demo, I could attack enemies by bashing them with my magical orbs, or by charging them, ala Mega Man, and unleashing a charged shot. I also saw people playing the demo before me wielding magical swords, but I must have missed that item on my playthrough. Regardless, the game is very responsive, and the ambient music keeps you invested in the game. The art, likewise, is wonderful pixelated goodness. It looks like Castlevania by way of Elf Quest, meaning it is more cheerful and less violent, but no less interesting. The demo culminated in a fight against the boss you see above, some archaic cat beast. It attacks by slashing at you, crawling forward, causing debris to fall from the ceiling and firing laser beams. It was a challenge, but a fun one. 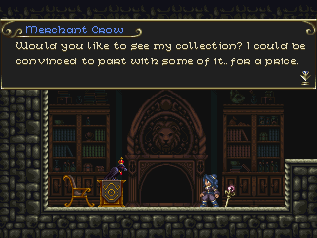 If this is just a taste of things to come in Timespinner, I’m highly anticipating the final game. If you’re unfamiliar with it, take a gander at the trailer below.